Social Media has generated an explosion in the amount of digital content being created, shared and consumed by users. Requirements of media companies and anyone looking to deliver material to social media platforms are to be able to quickly and easily select clips with in and out points. 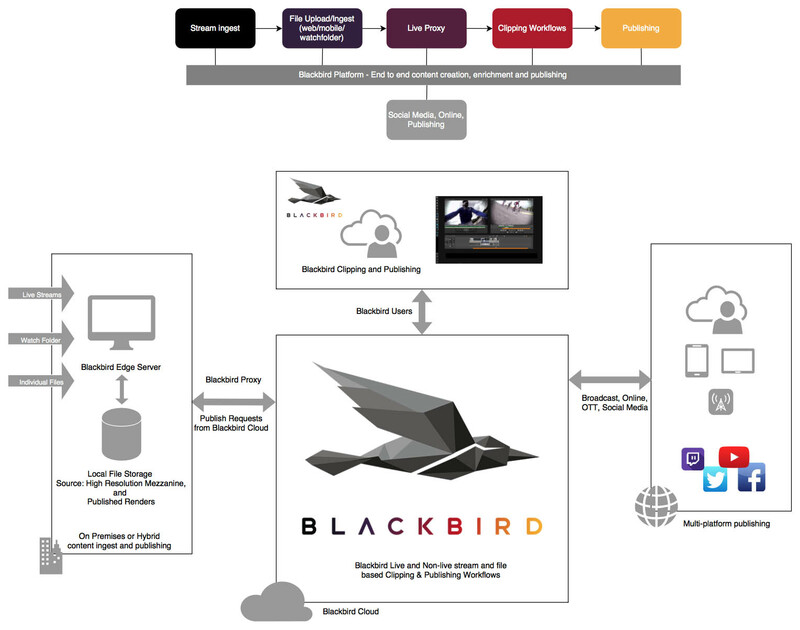 Blackbird provides the ability to use a combination of live and non live content from a repository of streams and files quickly into timelines for publishing including social media platforms. The editorial workflows for social media are often being staffed by by those who have multiple responsibilities that still require require fast, easy to use tools with impressive features, without the complexity of learning a full editing solution. Easy and efficient workflows for creating and delivering content to social media platforms without a long learning curve ensures that customers can more rapidly monetise their content and deliver content to consumers.